The end of the month doesn't mean the end of the news, isn't it? Definitely not for Cart2Cart followers! 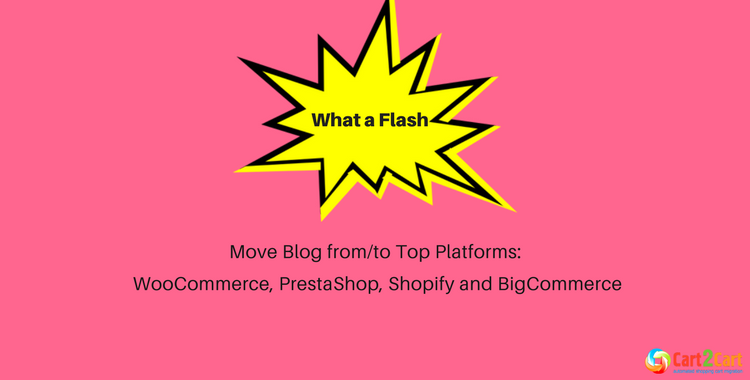 We won't reinvent the wheel saying that blogging functionality is vital asset to any eCommerce web site, thus we'll be brief and clear: from now on you can move blog to/from PrestaShop, Shopify, WooCommerce, BigCommerce via Cart2Cart. It`s not a secret that top-notch content is king in marketplace industry, allowing efficiently and directly connect with the world. XXI century dictates new rules, transforming professional blogs into the most effective eCommerce customization tool, giving your audience everything they need to learn about your product. Obviously, SEO-rich content boosts the visibility of your website across search engines and builds trust in consumers to your brand. However, lots of online store owners tend to interpret propaganda to be a “great” meanwhile pushing the readers away. That`s why, it's crucial to determine your target audience biggest problem and make sure your content is not about your business, it’s focuses on your customers` needs providing all possible solutions. They will appreciate it! Hopefully, you can`t wait to create a blog for your online store? Great, but which eCommerce platform is able to fulfill your potential? Based on multiple queries, Cart2Cart is ready to name the most prominent all-in-all solutions which perceive blogging functionality to be a key to eternal friendship with highly ambitious digital world. Ready? Let`s start our eCommerce party! Where you’d better move blog? After recent profound research of most robust eCommerce platforms, Cart2Cart determined 4 top shopping carts worth to transfer blog to. The list includes WooCommerce, Shopify, BigCommerce and PrestaShop. Being the WordPress plugin with 2,115,041 live websites, this top legend ( stats by builtwith.com) open-source platform takes its place of honor offering the most versatile feature-packed options for your online store and blog in particular. WooCommerce is praised by hundreds of thousands store owners giving their stores piles of responsive, professionally-looking themes. With over 2,059 WordPress blog themes the price of which ranges from 19 $- 60$, you`ll find the ideal one to enhance your content to new level. 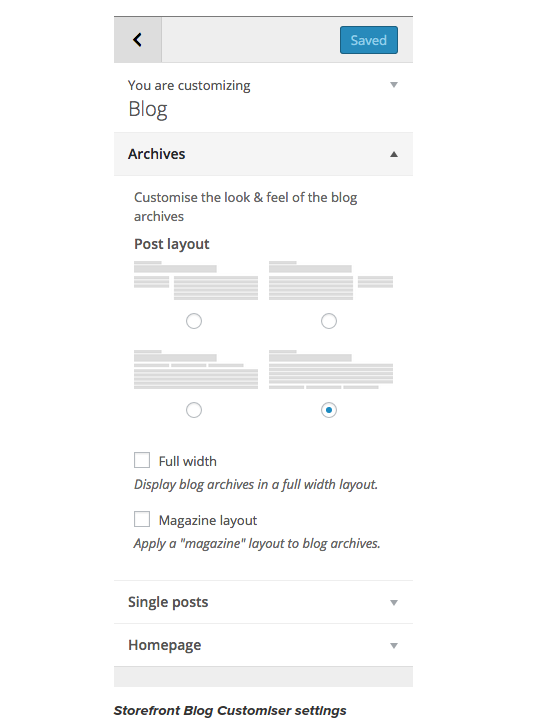 If you export blog to WooCommerce, you`ll astounded by offered Storefront Blog Customiser- a special extension designed to work with official WordPress template that gives your blog unique layouts to suit your content. Another thing that is worth mentioning is that this eCommerce plugin offers unbelievably fantastic customization options. Since the code is open, all the themes may be effortlessly adapted to your preferences and needs. Ready to move blog to WooCommerce ? Try out Free Demo first! Shopify another world`s leading self-hosted eCommerce solution that conquered millions of store owners` hearts. 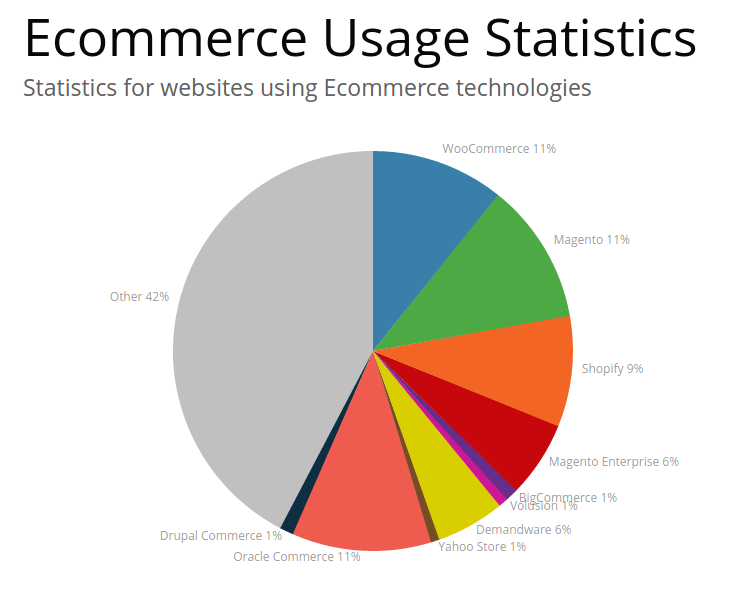 Thanks to its user-friendliness, advanced customization and integrated blogging functionality, Shopify becomes a total winner (stats by ecommerce-platforms.com ) in list of top eCommerce platforms. Shopify offers various crazily beautiful, responsive templates which you can easily find in official Shopify theme store or 300 blog-ready themes in Template Monster app. Shopify doesn't go behind the WooCommerce considering blogging functionality to be a paramount factor for maintaining a consistent voice with target audience. It doesn't matter what eCommerce plan you pick up, Shopify has already built-in blogging software allowing you to write articles, embed videos, launch open discussion among your clients, etc. through an intuitive dashboard panel. Shopify has a large App Store with hundreds of free and paid extension that both motivate purchases and attract new visitors and customers, driving more traffic to your store. 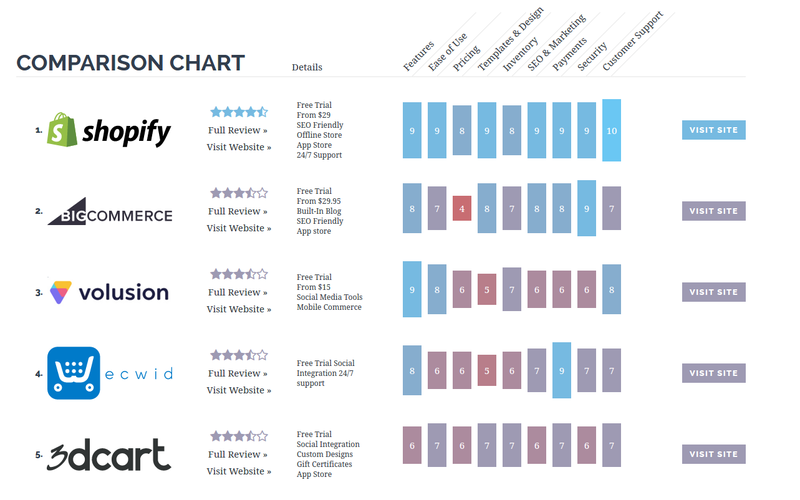 BigCommerce is another all-in-one self-hosted eCommerce leader with over 50,776 live websites (based on builtwith.com stats) that will impress you with high-quality customer engagement in terms of progressive blog functionality. Similar to WooCommerce and Shopify, this robust engine offers a wide range of alluring, inspirational design options with enhanced customization capabilities. You can easily find lots of awesome templates for your blog in BigCommerce themes store that are structurally divided into categories according to your business industry. Apart from templates, BigCommerce has powerful extensions that will fulfill your business objectives. Alike above-listed solutions, BigCommerce includes a basic built-in blog functionality that is easy-to-use and maintain. If you need more advanced blogging options for design, plugins, support, you can use a WordPress blog or Blogger instead of the Built-In Blog. These options can be used with your BigCommerce online store. Feel that BigCommerce will make your content blossom? Move blog now! One more representative of successful open-source, feature-packed solutions is PrestaShop, counting over 223,654 live websites (builtwith.com research). Being open-source engine, PrestaShop gives access to code enabling tech challenged online store owners to take advantage over such flexibility. When it comes to blogging functionality, PrestaShop won't disappoint you! You can find 178 blog themes in Template Monster where all of them cost 139$. PrestaShop is proud of big number of plugins and modules. Many thanks to community developers who took into account blogging importance and created a professional PrestaShop blog module that is fully compatible with every language and initially optimized for a better SEO. Along with a simple installation, comes a beneficial tech support ready to solve your tech issues. So, what kind of conclusion can we make? The answer is clear: your online store blog has to correspond your clients` needs. It`s not for pushing the sales on your customers but about ensuring an invaluable connection with them. Provide useful information that will transform your engaging audience interaction into greater website traffic, top-notch leads and progressive sales. In this case eCommerce engine plays a crucial role. If you feel that your current shopping cart blogging functionality is not enough and does not fulfillyour needs, it's highly recommended to migrate to another more feature-rich eCommerce engine and move blog to new level. Afraid whether your current blog data will be safe and sound? No worries please, Cart2Cart the world’s leading automated shopping cart migration service will move blog along with widest range of entities safely and securely. Gathering over 45 000 successful data transfers, the service offers top-level migration to 75+ shopping carts. Thanks to its unprecedented switch speed, you will get the most comprehensive switch within few hours. If any tech-related questions occur, you may always rely on 24/7 support staff that will help to get to your dream shopping cart. Ready to make your business thrive? Start a Free Demo right now and let`s reach great heights together!